Is This Really A Velázquez? 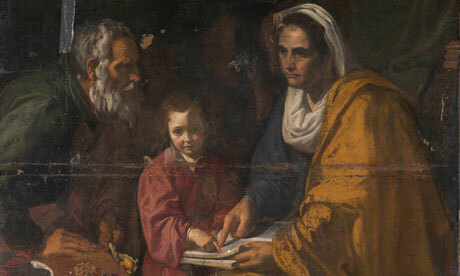 It is meant to show the Virgin Mary learning to read and for decades it has sat in the basement at Yale University’s museum, catalogued as a good, if second-rate, example of 17th-century Spanish painting. Now the battered canvas has been identified by one art expert as the work of Diego Velázquez, the Spanish painter whose Las Meninas (The Maids of Honour, 1656) may be my favorite painting.